When given the choice to walk five blocks or take a taxi, many Americans opt to take a taxi. If given the chance to buy a five dollar hamburger or a ten dollar salad, most people would choose the hamburger. After school, instead of running around outside, many children choose to play video games. Obesity has increased by twenty percent for adults and roughly fifteen percent the past 30 years in America as a result of bad habits. People need to work hard to fight obesity by changing their lifestyle instead of just blaming it on other factors or just hoping to magically lose weight. The cost of healthy foods compared to unhealthy foods is one of the main causes of obesity. According to Jason Rehl, an author for the National Post, a healthy diet costs $1.50 more each day per person, or $2,000 more every year than an unhealthy diet for a family of four. This means many families will eat unhealthy foods despite the health risks and lack of nutrition to save money and get by. Although $1.50 a day does not seem like a lot of money, it could be the difference between a family having heat or new clothing. According to Linda Carroll and Madelyn Fernstrom, writers for NBC, being surrounded by cheap tasty foods is tempting for anyone despite their socioeconomic status. Even if someone has enough money to eat healthy, the price of the unhealthier option may still be more attractive. As long as healthy food is more expensive than unhealthy food, people will be consuming junk food regardless of how much money one has, which will impact how obese the overall population of the United States is. People of all ages are not getting enough exercise which also contributes to high obesity levels. The recommended amount of exercise is 75 minutes of vigorous activity or 125 minutes of moderate activity each week. According to the Center for Disease Control, only 22% of adults exercise this amount. In order to lose weight or maintain a healthy weight, exercise is necessary to help with losing calories. Exercise is easy to fit into almost anyone’s day because it is as simple as using a break to walk around instead of sitting and using technology for example. 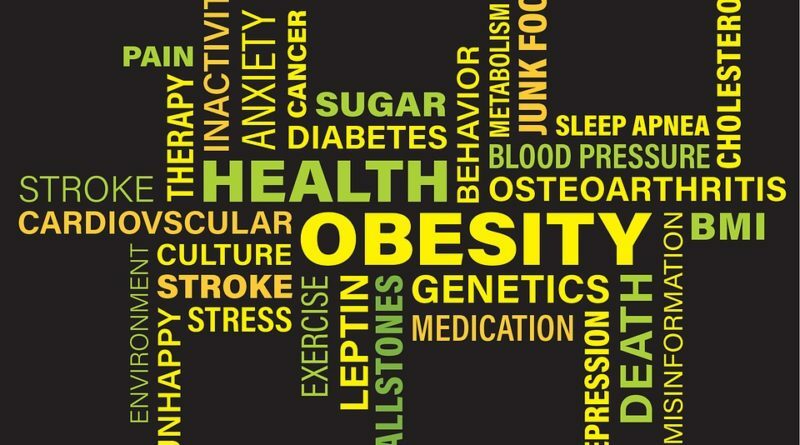 The definition of obesity is an imbalance of too many calories and too few calories lost according to the article “Physical Activity” from Harvard School of Public Health. Children are exercising less which hurts them since they should get an hour of physical activity or more each day. With the stress of school, homework, and extracurriculars, many kids want to play videogames or lay down during their free time which leads to a lack of exercise and larger vulnerability to weight gain. People choosing to do other activities when they have the ability to exercise is another leading factor in increasing obesity rates. Michelle Obama, the former first lady of the United States, is trying to ensure that children will learn how to live a healthy lifestyle by encouraging exercise, instilling knowledge about eating habits, and making healthier foods available to low-income families through the organization “Let’s Move.” She is targeting the roots of obesity and unhealthy lifestyles so that every child in America can live up to their potential and to prevent diseases such as diabetes. So far, “Let’s Move” has provided over three million children with a salad bar at their school, has hosted five Kids’ State Dinners to promote cooking and healthy eating, and has encouraged 12 million kids to exercise for 60 minutes a day through the “Let’s Move! Active Schools” program. If organizations like these continue to exist and reach out to children who do not have the support at home to live a healthy lifestyle, more children will know how to live a healthy life and pass their knowledge on to future generations creating a less obese, more healthful society.